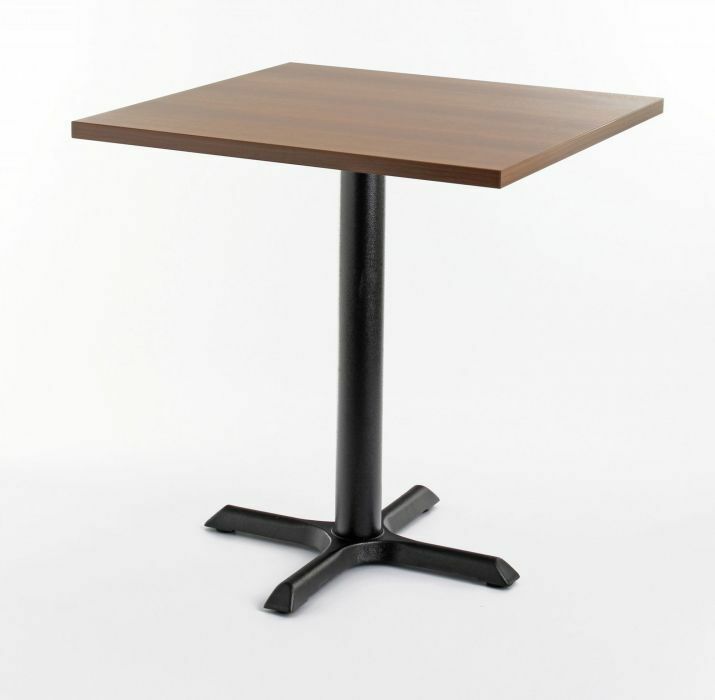 Cafe table with a durable Black powder coated base and 25mm thick laminated MDF top in a choice of six finishes. Available from stock for a free next day delivery. Fantastic value table complete with a wood finish top and sturdy black cast iron four foot base. Held in stock for a free immediate delivery. Free of charge delivery for mainland UK customers.